So yeah, that fourth wall isn’t likely to be fixed anytime soon. Don’t worry folks, we’re working every day on making “This Coming Storm” a reality. Wolfie has recently moved to focusing on scripting while I fine-tune the various levels and make sure they’re up to snuff for your gaming enjoyment. But a bigger deal is what happened this weekend. 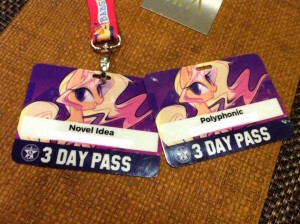 It was my very first Pony convention at EquestriaLA and I was joined by Polyphonic, along with several other friends from work. Now, I’ve already set this up on various different forums, but this needs to happen here as well. Several really awesome things happened there, including the first meeting between the original creator of MLP Bonnie Zacherle and the creator of MLP G4, Lauren Faust. It was actually really touching. In addition, we had the live performance of Michelle Creber, BlackGryp0n and Baasik, plus the pretty intense “A Night With Discord” where John de Lancie spoke about how poetry helped him learn to read in the sixth grade (yes, you read that right) and shared some of his insights into it. However, there was one event that still dominates as something immensely powerful for the community, the show and the creator of it all. During “An Interview with Lauren Faust” hosted by none other than MA Larson (a regular writer on MLP and (I believe) the current Story Editor), we got to glimpse into the minds of two folks who were instrumental in the creation of the MLP we’ve come to know and love. It was a very enlightening introspective as to the origins of MLP:FiM. As you may or may not know, Lauren Faust left the show during Season 2 after some pretty heavy creative differences (the details of which aren’t explicitly known). Lauren paused for a time, hesitating quite a bit and then in a quiet voice…well, I’m going to just copy a few excerpts from the EqD article for you. After pausing, Lauren told the crowd that she was going to be honest. She feels that she isn’t missed. She feels that no one can tell the difference between what she worked on, and when she was gone. She feels that all the work she did was for nothing. Larson as well as the entire crowd disagreed. The crowd erupted into cheering and applause for Lauren, prompting another standing ovation for the Queen of our excellent show. Her name was chanted for minutes and Lauren had to cover her face and hide [a bit behind the table]. When everything quieted down, Larson asked if Lauren believed the crowd. Lauren retracted her statement, admitting that she can’t disagree with a reception like that. She is definitely missed, and we thank her for everything she has done. She actually took a video with her iPhone of the crowd cheering and I have a feeling she’ll be watching it a lot. Lauren admitted that it’s hard. She thought that things went south for her for a while and that everything that happened was her fault. She thought she wasn’t good enough. She thought that if she was better, that she wouldn’t have to leave. These chaotic emotions only followed her when she moved onto other projects. She second-guessed herself more, and still does to this day. She is still worried, and feels that MLP can never be replicated. It took her a long time to move on from pony, and it’s still hard for her to continue especially since Super Best Friends didn’t work out, but her upcoming Medusa project shows promise. Lauren is an artist. She does what she does because she loves art and creating. She feels that sometimes, what she considers to be profitable isn’t agreed upon by others. She attaches herself to her work so much, that it sets her up for heartbreak if something happens. She still considers herself to be struggling, since she has been having trouble with confidence. “It’s hard to be creative when you aren’t confident,” she says. Now, let me be honest. I know what it’s like to question if you mattered or not. It’s something I struggle with on a daily basis, be it as a writer, thinking about the things I did when I worked for Apple or throwing myself into the role of Creative Director for Gardens of Equestria. I know how painful and debilitating doubt can be. It’s something I think every creative person faces. I hope that moment helped Lauren to face her future with more confidence. I’m proud to have been part of that moment. But as with many things, memory can fade with time. So Equestria Daily is starting something special and I want the GoE community to participate. Lauren Faust opened up quite a bit during her panel at EQLA. If you haven’t caught up on that yet, you can find the full summary over here. Many of wondered how things are going four years after her departure from the show, and to be honest I was hoping it would be a bit more bright. At the end of the day, none of us would be here if it wasn’t for her. When Hasbro pitched that G4 pony thing her way all those years ago, she took what could have just been another toy commercial cash grab, and transformed it into what is essentially one of those most industry changing cartoons of the last few years. Everyone out there wants a piece of what pony did. From the world and characters, to the quality that brought us all in early and kept us here until now, the foundation of Friendship is Magic really is something special. So, what can you do to show your support and appreciation? The fandom is talented in just about every sector, so lets open it up! If you can draw, write, craft, or anything else, it’s time to do it! If you can’t do any of that, just spreading the word to those that might not follow EQD anymore would help. Lets make this epic! For some folks, this may just be a fun hobby. For others, it may have changed your life. There are people out there who have met at Pony conventions, got married and now have kids of their own watching the show. 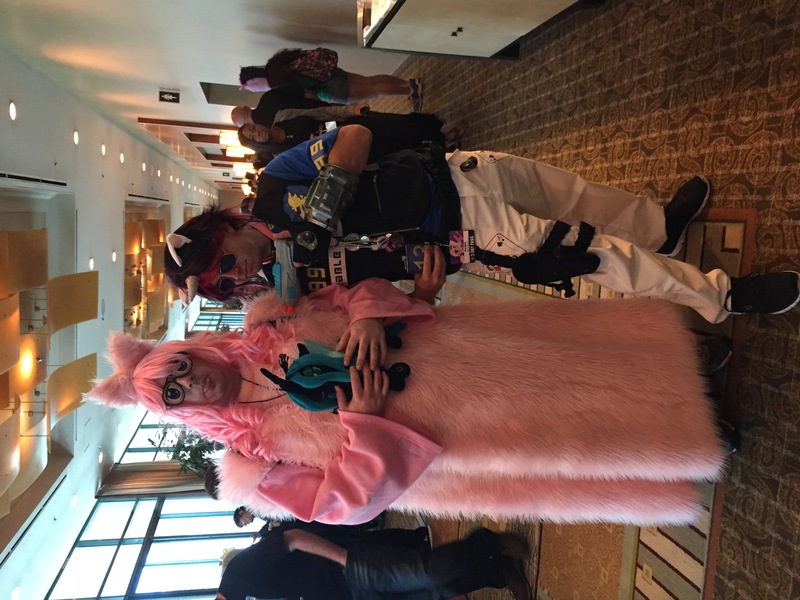 We’ve heard stories of the uplifting nature of MLP helping people with depression, alcoholism (there was even a panel on that during EquestriaLA) and a lot more. We’ve seen amazing contributions and amazing successes, such as the outpouring of support for Michael Morones. This community is unlike anything I’ve ever seen. It all started with Lauren Faust. While others may be carrying the torch now, I think it’s only fair that we respect the one who lit the fire. We need to help her realize that she is a beloved part of this community. So in the next few weeks, take some time and think about what MLP has done in your life. Not sure how to participate? Let’s take a page from EqD! Write a letter for Lauren Faust! We will collect them all into the celebration post. Draw the legendary Fausticorn, or anything else you’d like to tribute to her. I don’t think she’d be disappointed with some mane 6 either! She created Equestria. Celebrate that! Or celebrate whatever other aspect you’d like. The video side of pony is pretty vast. SFM has a Fausticorn, PMV’s can probably snag a vector or two. It’s up to you here! Customs, plushies, papercraft, whatever you do, do it for Faust! Spread the word! The more submissions we get the better. Hit your old brony groups or close friends. But I encourage all of you to think about this. We’re all creative people. We value creativity. And we’ve likely all had a time in our life where we’ve doubted if what we’ve contributed mattered. This is a chance to help show someone that they do matter. Because all of us need that voice in the darkness. And who better to help than the one who taught us that friendship is magic? (Sorry, couldn’t resist). 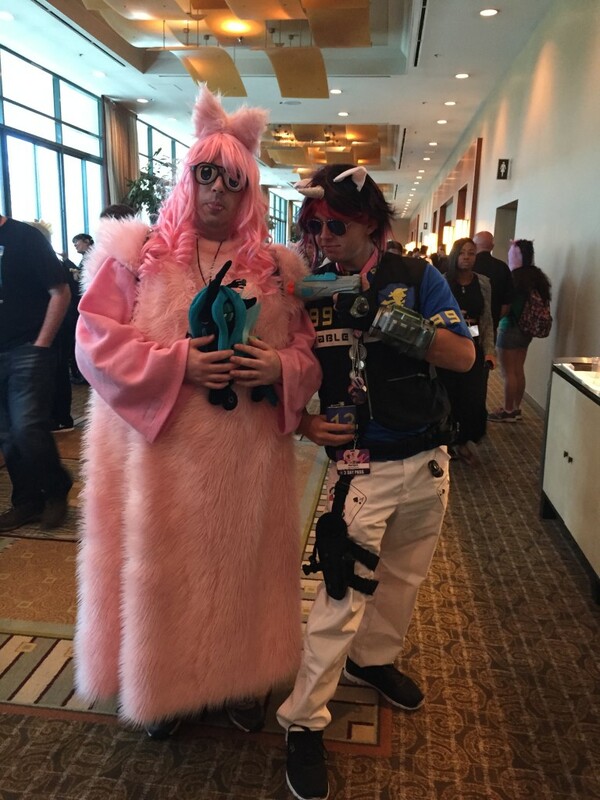 Oddly enough, there was only one Fallout: Equestria cosplay of Blackjack. I was rather surprised there were no Littlepips. That’s okay, I got a gorgeous print of a recent bit of Littlepip artwork for my desk. Fair warning: this goes so far beyond the fourth wall I don’t even know what dimension we’re in. Don’t ask. I don’t have a clue. We’re also putting up Chapter 14 of the Fallout: Equestria (The Manehattan Project) audiobook today. We’ll have more ready for you next week! The Manehattan Project Update #10: Calling All Musicians! The Manehattan Project Update #17: Environment Preview Trailers!